Regular jewellery appraisals are an absolute must and as market values fluctuate, European Goldsmith recommends that you have your fine jewellery professionally appraised every 3-5 years. We regularly work with customers and insurance companies to replace cherished jewellery that has been lost or stolen and while the blow of losing your sentimental jewellery is difficult in the first place, it is that much worse if you don’t have insurance or an appraisal that accurately reflects the current market value. A jewellery appraisal is the professional’s analysis and opinion of the quality, design, authenticity, and approximate retail value of your jewellery. Your appraisal should include a complete laboratory testing of your jewellery and a report for your records. This appraisal report will include the content and weight of precious metals, a description of the diamonds and gemstones (approximate carat weight, cut, clarity, colour, measurements, etc. ), a colour photograph, and the appraised value of your jewellery. Why do I need a jewellery appraisal? The primary reason for getting a jewellery appraisal is for insurance. The value of precious metals, gemstones, diamonds, and your jewellery will fluctuate over time. Most of the time, the value of your jewellery will increase, but if you have an outdated jewellery appraisal, you may not be insured for the full replacement value of your piece. Should your jewellery become lost or stolen, an updated appraisal can offer peace of mind and will allow you to replace your precious item without a substantial loss. Customers also seek a jewellery appraisal for legal and financial reasons, including estate planning, taxes, divorce settlements, donations, and loans. 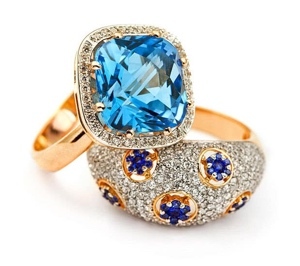 An independent appraiser is integral for determining the value of your jewellery. As such, we offer special appraisal clinics 2-3 times per year and bring in a GIA Certified Gemologist from Vancouver to independently appraise jewellery for our customers. The GIA (Gemological Institute of America) has the most highly-regarded standards in the world and uses the industry’s most advanced technology and education when assessing jewellery. The current market values are determined via a network that constantly monitors prices throughout the industry and scans retail prices. Our appraisal clinic rates start at $85 for the first item and $75 for each additional item. Rates may vary for some items such as large gems or watches. Approximately 20 minutes per piece is the average, although more complex pieces may require extra time. For more information, or to book an appointment for our next GIA jewellery appraisal clinic, please call us at 250-860-6657.